Buying a house is not something anyone does frequently. Many expats would probably not even consider such a purchase if they’re only staying here for a short period of time. But for those staying a few years or more, it’s an excellent time to stop renting and start buying. Housing prices are at a relative low point and expectations are that they will soon rise again. Buying is therefore a very interesting investment. Read more about expat housing in Eindhoven. When you visit Hypodomus Eindhoven or one of our six offices in The Netherlands, we draw up a list of your wishes and criteria for your perfect home. We will assist you until the desired house is found and purchased. We will be with you to inspect all the homes that meet your requirements. Also, we will estimate the value and the state of repair. If necessary we will recommend a structural inspection takes place. It’s important to come well prepared when buying a house. A Hypodomus real estate agent is worth the investment many times over and will advise you on all your possibilities. There are often far more than you realise! Visit our site and leave your contact information and we will get in touch with you. Who knows, pretty soon you will be living in the house of your dreams. Feel free to enquire about the possibilities of trying out a Hypodomus estate agent free of charge. Hypodomus provides tailored, independent and professional advice and assistance in buying a home in the Netherlands. To help you get the best advice in financing your new home we have special services for expats. You can find the offices of Hypodomus all over the Netherlands. If you want more information please fill in the contactform or call us at +31(0)40-8200020. We hope to welcome you at our office! The Eindhoven region is a breeding ground for innovation and the home base for companies, and world-class knowledge and research institutes. The growing concentration of top technology and knowledge industry is closely connected with the very diverse manufacturing industry in the region. Brainport Eindhoven region devises and manufactures the technology of the near future, the technology that contributes to a safe, green, and caring society and to the sustainable economic development of the Netherlands. The heart of Brainport Eindhoven region is Eindhoven. The majority of the technology companies and the research institutes are located within a 40-kilometre radius around Eindhoven. But Brainport’s geographic boundaries are difficult to define. Brainport Eindhoven region is a network economy with numerous partnerships across regional boundaries and international frontiers. The triangle Eindhoven - Louvain - Aachen (ELAt) for instance is an important knowledge area. Brainport is a very successful and mature industry. Brainport addresses to the high amount of knowledge (industry). In 2008, Eindhoven has become known as 'Brainport', the very centre of hightech industries in the Netherlands. In 2011, Brainport has become the smartest region of the world (Intelligent Community of the Year 2011)! The regional economy is 'booming', with innovation, creativity and design as kingpins. This development has grown historically and continues to determine the image of the region to a large extent today. To accommodate the growth of our region, the national government has a special program to strengthen the economic development by investing in infrastructure and area development. Brainport Avenue has become a programme of national importance. 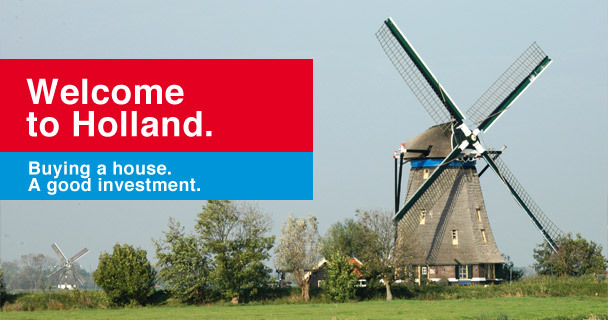 It’s an international top location for hightech industries in the Netherlands. It’s a huge area along the motor highway. It contains 27 kilometers highway, 5 intersection, 11 junctions and 5 villages: Eindhoven, Veldhoven, Best, Waalre and Son en Breugel. Lot’s of Original Equipment Manufacturers are founded ad this location, such as Philips Healthcare, ASML and FEI Company. The High Tech Campus with more than 8.000 researchers and more than 100 companies is a school sample off open innovation. Brainport Avenue contributes to major accessibility of Brainport Eindhoven. Five motor highways meet at Brainport Avenue. Additional there is Eindhoven Airport and a off course the intercity railway station with connection to Schiphol Amsterdam /High Speed Railroad. Brainport Avenue stands for design and major discoveries. A very high amount of research and development is done in this area (Brainport Eindhoven region spends 8% of the Gross Regional Product on R&D) . Above that, the Dutch Design Academy (known by the famous Dutch Design Week) and the University of Technology Eindhoven are involved in lot’s of developments. Brainport Avenue shows green prosperity. Green prosperity means that we don’t need lot of space for adding value to a product. For example, ASML (market leader of semi conductor industries) produces chip-machines on which ASML earns millions per machine on a very small site (80 ha.) without pollution or huge traffic jams.